Utranazz wet concrete batching plants come in three varieties – the TecnoMix, the TecnoMix LT and the Mobile 60. 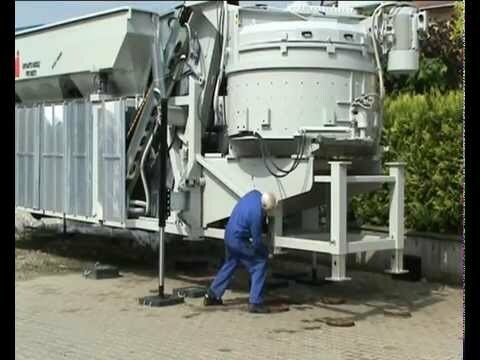 The TecnoMix is a quick-install fully mobile wet concrete batching plant and is the only plant on the market fitted with a self-installing mixer that does not require a crane for assembly. It can be up and running within just a few hours of arrival on site. The Mobile 60 range of wet concrete batching plants are also fully mobile and can be up and running within 24 hours of arrival on site. The plant is designed to be “plug-and-play” unit and arrives completely pre-assembled including an integrated control cabin, which is fully air-conditioned. It is designed for quick and easy transport via coupling to the back of any tractor unit. Both the TecnoMix and the Mobile 60 range are ideal for suppliers of ready-mixed concrete or large construction sites that require a fully homogenised mix. 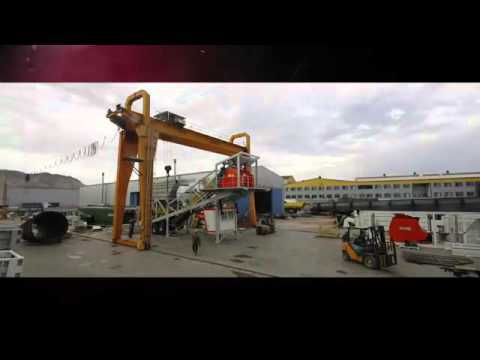 The TecnoMix LT range of wet concrete batching plants are semi-mobile. The aggregate bins are fully mobile, whilst the pan mixer is static, providing users with the quality expected from a fixed plant at a significantly reduced cost. The compact size and versatile nature of the TecnoMix LT plants means that minimal time is required for set up, they can be up and working within 2 days, making them suited to sites with limited space or to users that do not want to invest in an expensive static plant. The TecnoMix LT plants are so versatile they can operate as either a wet or a dry plant via a specially designed mechanical system that enables the plant to bypass the pan mixer and discharge the dry concrete straight into a truck. Utranazz range of TecnoMix wet concrete batching plants are available with 3 or 4 bins and are capable of producing 50m3 of wet concrete per hour. The TecnoMix LT can produce up to 100m3 of dry concrete per hour if the special wet/dry accessory is fitted. Each unit has a specially designed conveyor belt to lift the raw materials, which folds away into the first aggregate bin, minimising its height for transportation. Every plant comes fitted with load cells and a digital display with printer to enable constant control of raw materials. If required, the entire plant can be controlled via a laptop computer with printer. Utranazz can supply a wide array of accessories to work alongside the TecnoMix range including: ad-mixture plants, low-level or upright cement silos, aggregate feeders and water chillers. It uses the ProkserNET software system, which enables the user to monitor and control all aspects of the plant, including creating and storing formulas, batching reports and delivery notes. The software can even be integrated with accounting programs to enable auto-invoicing. * Offer is subject to stock availability.